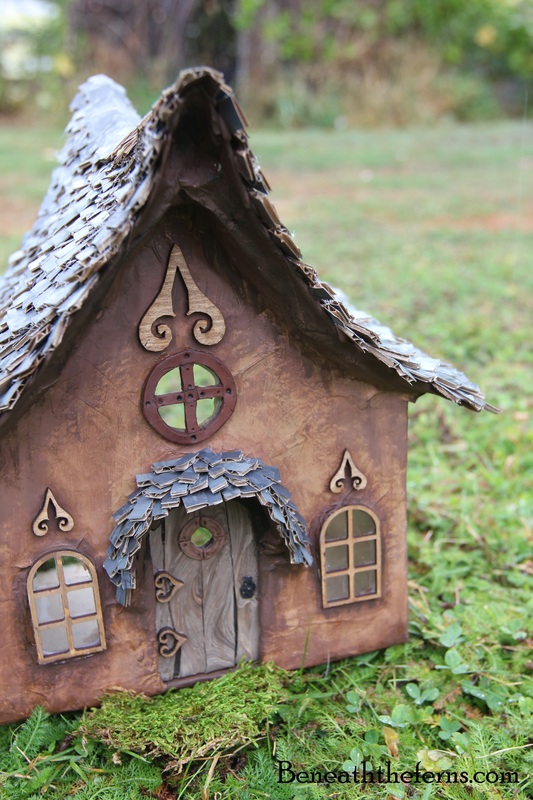 This is a smaller fairy house that I made for the fairy village in the book that I’m making. 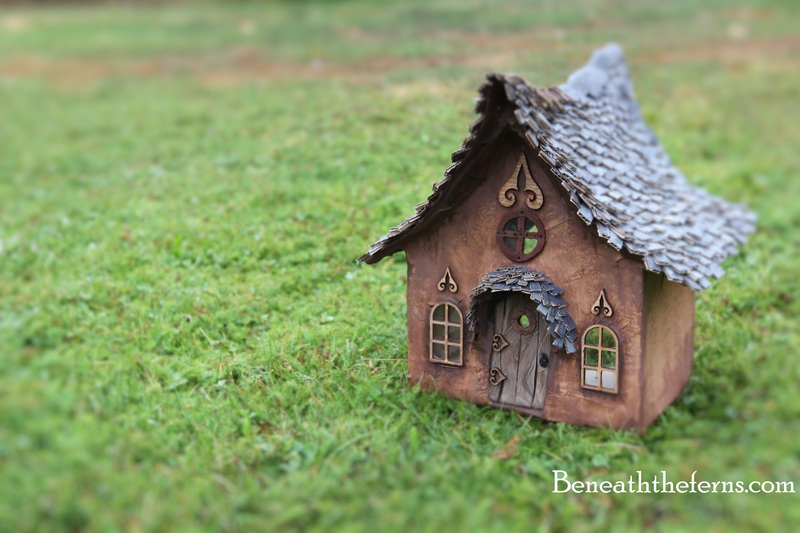 To create the appearance of a village in the woods, I’m going to have to make quite a few fairy houses. 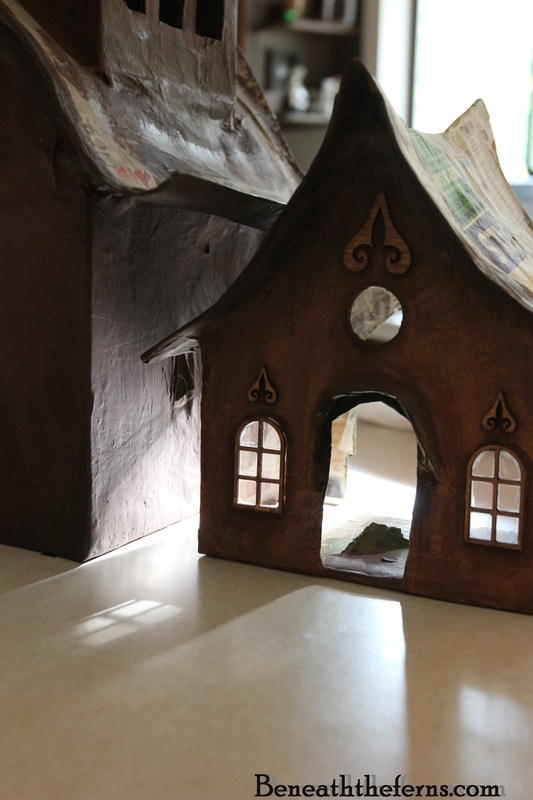 The image will be quite large, so small details inside the house will not show up. 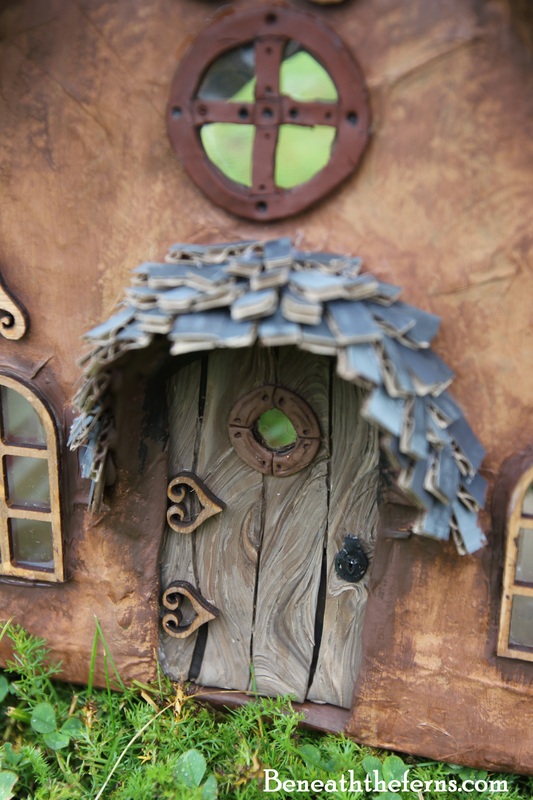 Even so, I tried to make the outside of the house as detailed as possible…I love details. 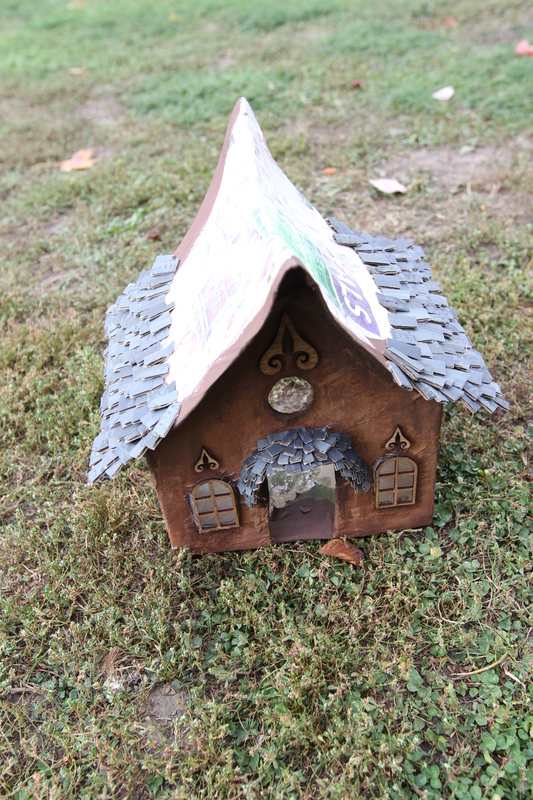 I love the slate colored shingles against the brown house. Since this house is smaller, I’ll have to go bigger for my next one. I’m thinking it will have lots of different angles and windows, and will be two or three stories tall. I guess it all depends on what types of boxes I have lying around! 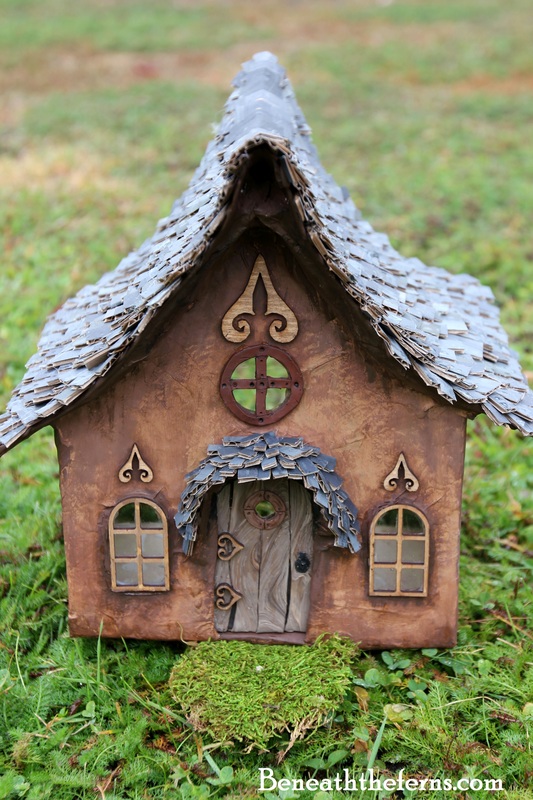 Thanks for reading, and to check out more houses from the village, click HERE. 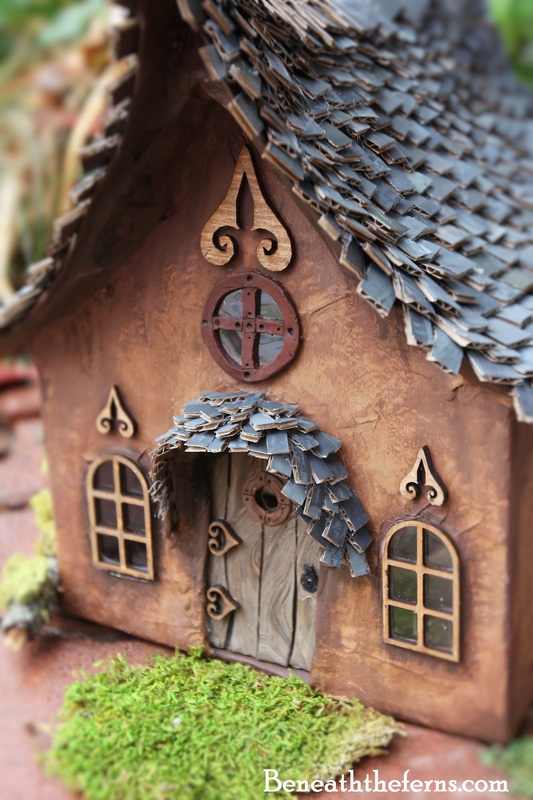 And if you’re interested in making your own house, visit my roof tutorial HERE.